*To view PDF files you will require an up to date version of Adobe Acrobat. 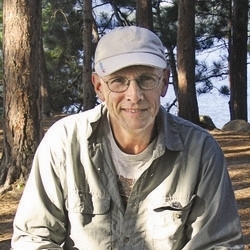 Bill Bosworth was an exemplary and long-serving member of the Mothercraft Board of Directors. During his ten-year tenure on the Board, Bill served on numerous committees, and as President of the Board he worked tirelessly and with passion in providing leadership to the organization. Bill's openness of spirit and commitment to Mothercraft's mission helped guide the organization though a journey of growth and to the achievement of excellence. Bill had the innate ability to see through to the core of an issue and with pragmatic consideration, offer insight that led to solutions that always focused, first and foremost on the well-being of children and their families. Bill had a rare energy that was fuelled by a belief in the basic dignity of every human being, a sense that all things are possible, and an intelligence that enabled him to skillfully manoeuver through any complexity. And he did it all with a grin that could light up any room! Mothercraft is one of the many organizations who will never forget this remarkable man. We were all diminished by his sudden death in August 2011. The Board and staff of Mothercraft had the pleasure and privilege of working with this extraordinary man and we all benefitted from his talents and his wisdom. We are truly grateful for all the contributions Bill made to our organization, our communities and the not-for-profit service sector. In memory of the impact Bill made upon Mothercraft and his legacy of making a difference for children, families and communities, Mothercraft, in partnership with Bill’s family – his wife, Joan, his daughter, Jenny and his son, Steve – is pleased to announce the establishment of the biennial BILL BOSWORTH MEMORIAL AWARD. The Award is open to any person or organization residing in the City of Toronto who is involved, as a professional, volunteer or student, in the delivery of community-based, not-for-profit services in the City of Toronto and who meet the criteria outlined below. The winner of the BILL BOSWORTH MEMORIAL AWARD will receive a prize of $1,000 which will be presented at Mothercraft's Annual General Meeting on Monday, June 24th, 2019. All nominations must be made by a third party. No self-nominations. Nominees must be involved in the delivery of community-based, not-for-profit services - as an individual or an organization; as a professional or a volunteer; as a student or an educator. Nominations must articulate the outstanding contributions the nominee has made to the lives of children and families as a community leader, volunteer or professional. A belief in the strength of family and community. Outline how the nominee meets the Nomination Criteria when responding to each of the questions. Please include specific examples of ways in which the nominee meets the criteria outlined and the attributes Bill exemplified as outlined in the introduction. Please limit each response to between 250 and 500 words. Provide two references who may be contacted to support the nomination. Nominations must be submitted by email to billbosworthaward@mothercraft.org no later than Friday, May 17th, 2019 at 5:00 P.M. The Award Selection Committee will be comprised of representatives of Bill's family, the Mothercraft Board of Directors and community partners. The winner will be selected based on the Committee's assessment of how well the submission articulates the nominee's demonstration of the Nomination Criteria.